DURABLE CLEAR ADHESIVE: Printed on transparent vinyl and coated with a long lasting adhesive material that will not damage your keyboard. 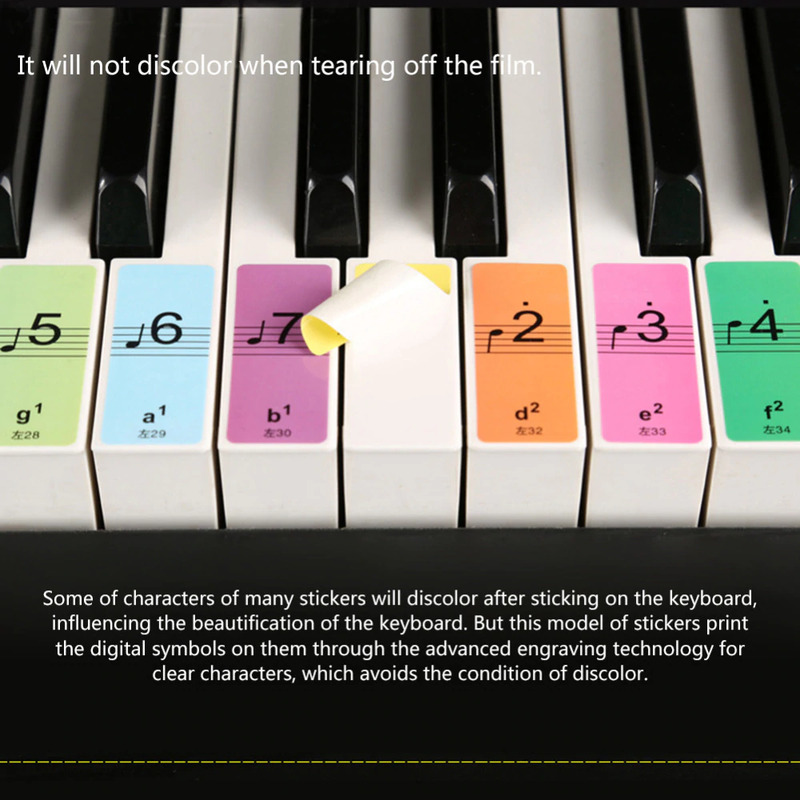 EYE-CATCHING DESIGN: The labels are especially designed to keep your eyes on the notes while you play. 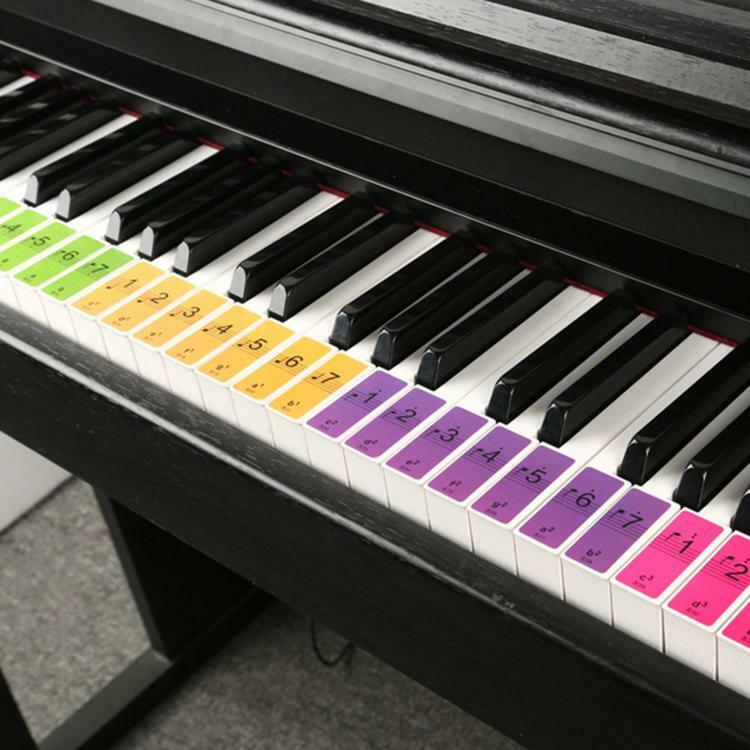 It makes learning the notes easy and speeds memory of the keys. WORKS ON EVERY KEYBOARD: Enough for any keyboard or piano WHITE KEYS (32, 49, 61, 76, or 88 keys). 1. There is no trace left after tearing off the sticker. 2. It will not discolor when tearing off the film. 3. 2-in-1 of numbered musical notation and staff. 4. 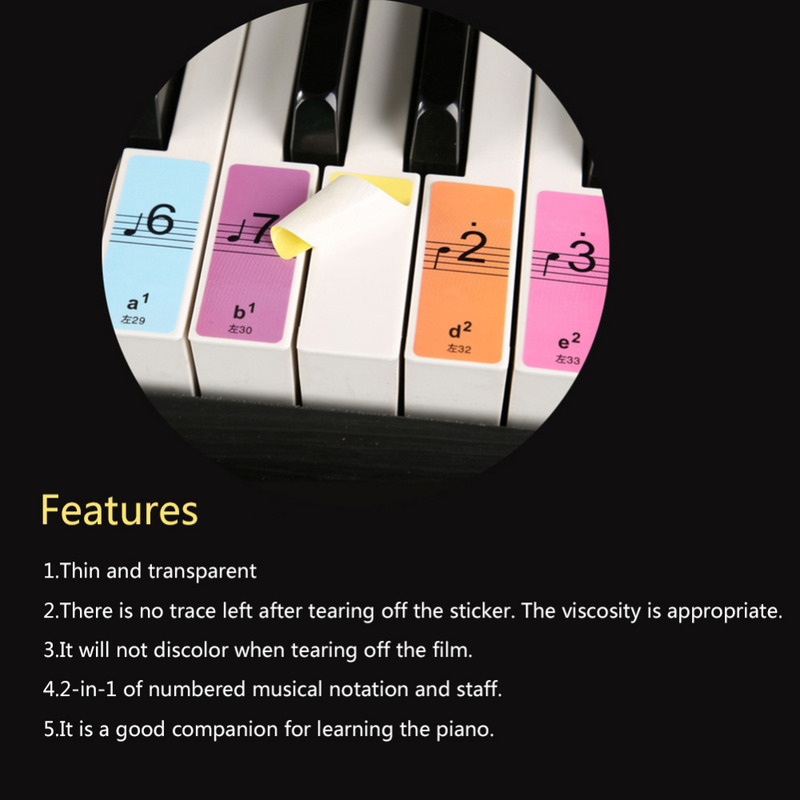 It is a good companion for learning the piano. The keyboard should be cleaned before pasting. GRAVITY AUTO LOCK GUITAR HANGER - WORKS LIKE A CHARM!